Voss Two-Handle High Arc Bathroom Faucet in Oil Rubbed Bronze (Valve Sold Separately) Crisp edges and uncomplicated style features give the Voss collection an ageless, yet fashion-forward, presence. Each silhouette brings a confident transitional style to the bath. 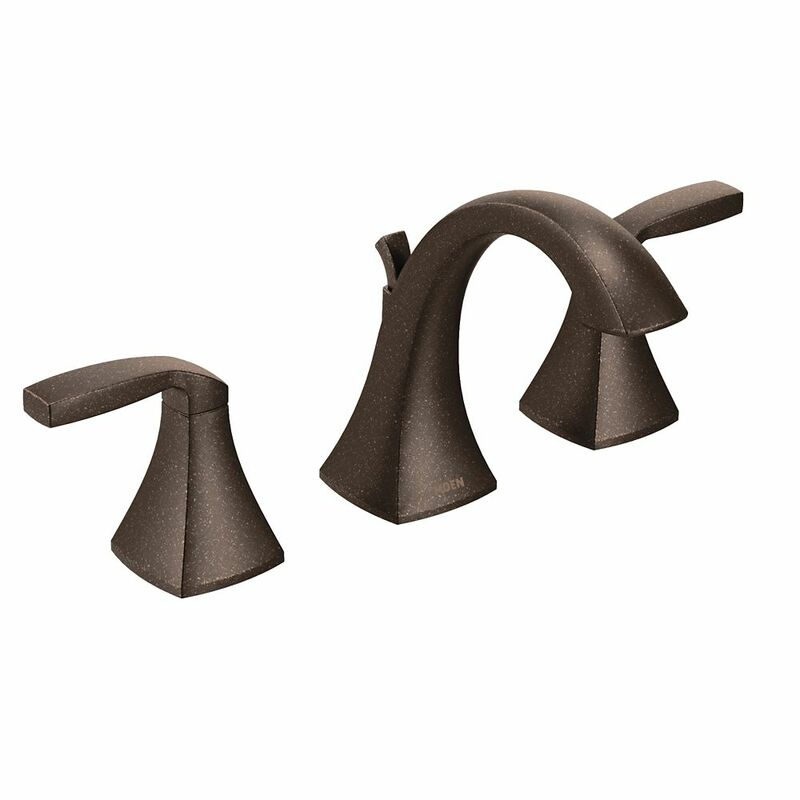 Voss Two-Handle High Arc Bathroom Faucet in Oil Rubbed Bronze (Valve Sold Separately) is rated 5.0 out of 5 by 2. Rated 5 out of 5 by Classydecorator from Refined elegance! Lovely understated elegant faucet, the perfect shade of bronze.,, not too black or reddish color! Very pleased, also purchased the companion pieces-towel holder and paper holder, makes a 20 year old bathroom look amazing again! !